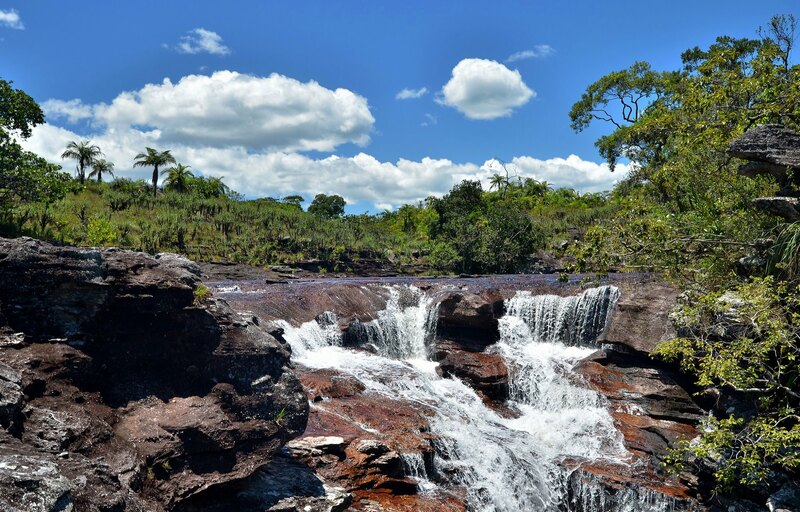 Caño Cristales (English: Crystal Spout) is a Colombian river located in the Serrania de la Macarena province of Meta. It's a tributary of the Guayabero River. The river is commonly called the "River of Five Colors" or the "Liquid Rainbow", and is even referred to as the most beautiful river in the world due to its striking colors. The bed of river in the end of July through November is variously colored yellow, green, blue, black, and especially red, the last caused by the Macarenia clavigera (Podostemaceae) on the bottom of the river.